Heathcliff's return to Gimmerton throws Cathy's life with Edgar into turmoil while Hindley becomes another victim of Heathcliff's revenge. 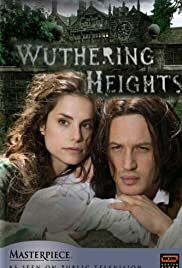 Isabella learns that being hated by Heathcliff is better than being loved by him. Will Catherine's courageous spirit free her from Heathcliff's grasp? Can Heathcliff ever find peace?